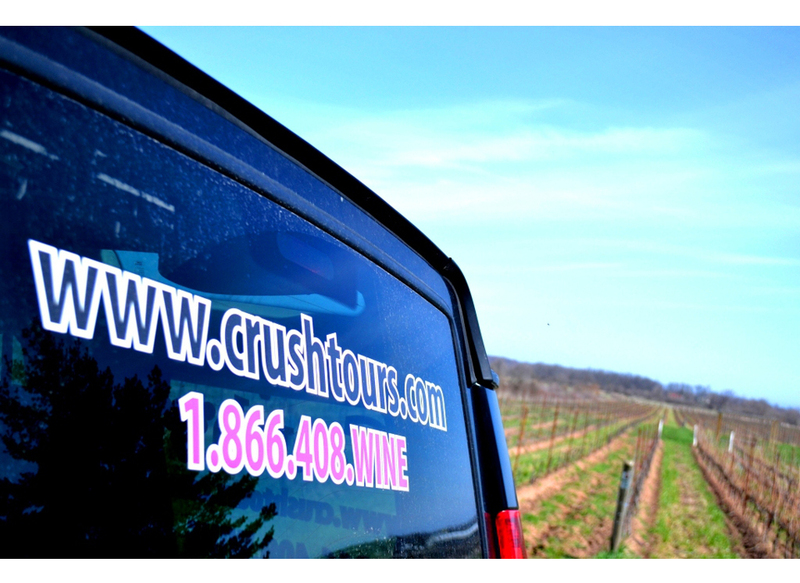 Tour Wineries in the Niagara Bench area with Crush on Niagara Wine Tours! 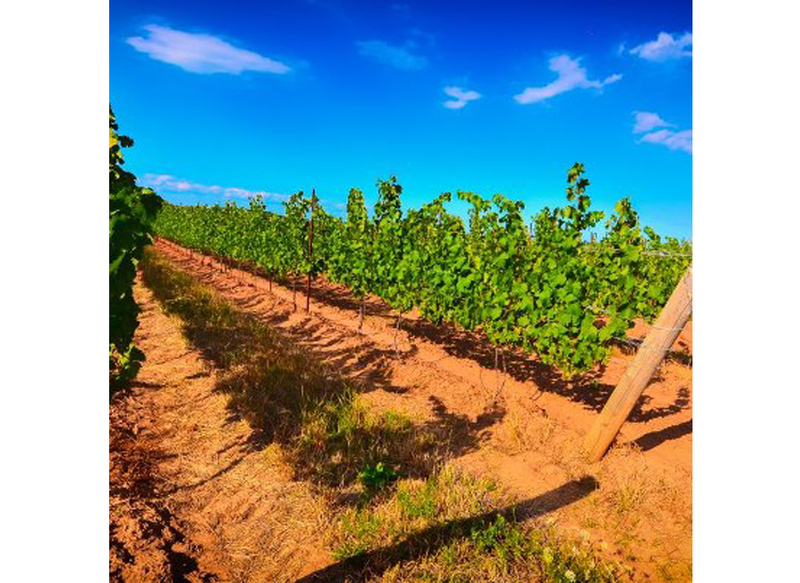 These tours depart every afternoon from Niagara on the lake, Niagara Falls, or locally along the Niagara Bench and include four winery visits with all behind the scenes Crush exclusive experiences and a visit to a local artisan cheese making facility. Guests will also receive our Sommelier's wine and food pairing info. 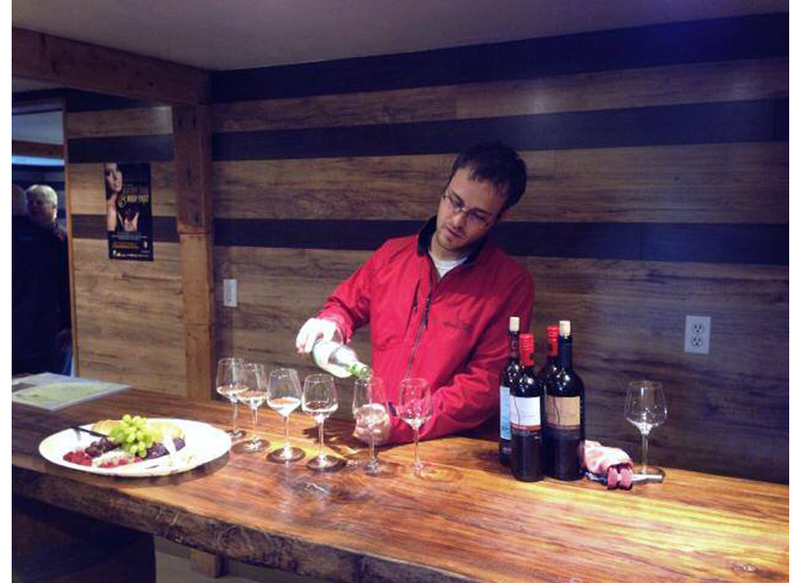 Crush on Niagara Wine Tours is a 'hand-crafted' wine tour company. 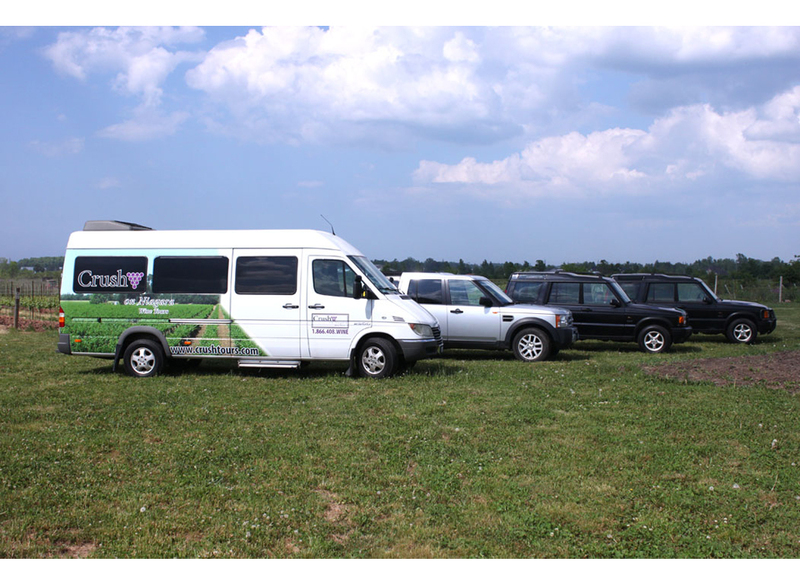 Crush provides guided van tours daily, year round, to both the Bench wineries of the Niagara Escarpment and the wineries of Niagara-on- the-lake ,Ontario. Crush organizes Corporate and Social group tours as well as wonderful overnight package getaways. The daily wineland tours, getaways and packages provide an exceptional, personable visit to the world-renowned wineries of Niagara. 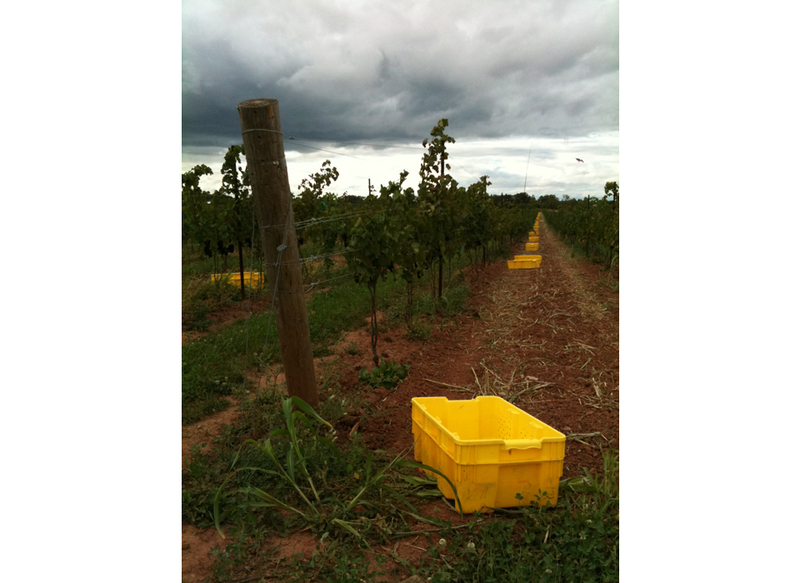 Arrive at 1:15 p.m. Kacaba vineyards is located on prime grape growing acreage on the Niagara Escarpment Bench in Vineland, Ontario. If you follow the Wine Route into Vineland, the gate is flanked by Niagara ledge rock and leads up a curved driveway lined with Sugar Maples. * Here partake in a behind the scenes walk through production and sip on award winning wines. *Crush exclusive. Arrive at 2:00 p.m. Welcome to this newest addition to Jordan Station. Di Profio wines is the newest micro winery near the Niagara Bench area. It has taken three generations for the Di Profio family to progress from the vineyard of Italy to the vineyards of the Niagara Peninsula. Here sip on limited production wines. Arrive at 2:45 p.m. Savour a sampling and talk about what happens to milk from the herd of Niagara’s “Guernsey” cows. Arrive at 3:30 p.m. to this environmentally sustainable, modern gravity flow winery. *Here learn about the wine making process in this astounding, green geo thermal facility. *Crush exclusive. Sip Ross Wise’s award winning “Twisted” wines . 4:30 p.m. Arrive to this historic, pioneering winery. Here, the essence of the Niagara escarpment can be both seen—in the unforgettable landscape of undulating vineyards looking over Lake Ontario—and tasted, in the wines that are a reflection of this unique growing area. *Sip on award winning wines with your own Vineland host. *Crush exclusive. Afterwards take time to browse the retail shop that sells everything from candles to stemware. On occasion wineries are closed for private functions or booked for special venues. Crush on Niagara Wine Tours reserves the right to change winery venues on occasion when necessary. All tours booked and confirmed are subject to a fourteen day cancellation policy. Tours cancelled within 14 days are 100% non refundable. All guests in attendance must be at least 19 years of age. All requested touring dates are subject to availability. Guests that fail to arrive on time for their pick up will be responsible to meet the group and tour guide at the first winery location. Crush on Niagara Wine Tours maintains no control over the personnel, equipment or operation of any bus company, hotel, winery, restaurant or other person, corporation, partnership or other entity furnishing services or products connected to the event and that all such suppliers are independent contractors. The client, on booking reservations acknowledges and agrees that Crush on Niagara Wine Tours shall not be held liable for any injury, damage, loss, expense, accident, delay, inconvenience or irregularity which may be caused or contributed to by any wrongful, negligent or unauthorized act or omission, however caused, on the part of any of these suppliers or any of their agents, employees or independent contractors. This offer is valid for two years from date of rpurchase.